How to cook fresh Almond Milk with COTW Nut Milk Bag? Enjoy your family with fresh Almond Milk! 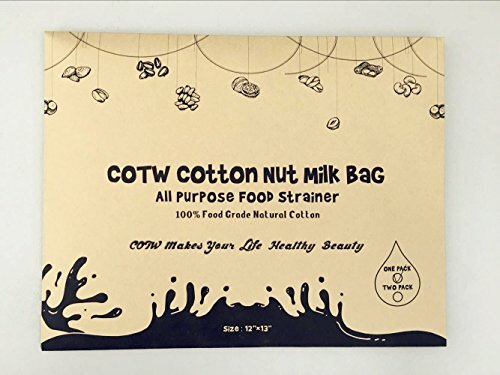 Made from pure cotton that is ideal for straining nut milk through such as almond milk.,juice,tea coffee and more.Perfect for home and kitchen using. Make quality home made nut milks such as almond milk, coconut milk, cashew milk, pecan milk, brazil milk, rice milk, soy milk and oat milk and more. If you have any questions about this product by COTW, contact us by completing and submitting the form below. If you are looking for a specif part number, please include it with your message.